Save an additional $10.00 off on select Dell UltraSharp monitors featured in the home or home office store. Coupon offer. Coupon code T3V65MD7CBJNM4 Limited Quantity. Offers end June 1, 2014. Shop now. Save an additional $50 off on any TV priced over $1000 and featured in the home or home office store. Coupon offer. Use coupon code L5MPZD0W5F1PM6 at checkout. Limited Quantity. Offers end June 1, 2014. Shop now. Save an additional $25 off on any camera priced over $300 and featured in the home or home office store. Coupon offer. Use Coupon Code: 5J2F2Q?PXST23N at checkout. Limited Quantity. Offers end June 1, 2014. Shop now. Save an Additional $15 Off on Any Camera Priced Over $100 and featured in the home or home office store. Use Coupon code: 7QR7W4HBFW6QS0 at checkout. Limited Quantity. Offers end June 1, 2014. Shop now. Save $15 Off on select Home and Home Office electronics and accessories (excluding customizable electronics) when you bundle products totaling over $100.00 - Use coupon code 0X3$FMG?C3LM47 at checkout. Limited Quantity coupon. Offers end June 1, 2014. Shop now. Save $10 Off on select Home and Home Office electronics and accessories (excluding customizable electronics) when you bundle products totaling over $50.00 - Use Coupon Code: 934X57NQBLT8F7 at checkout. Limited Quantity coupon. Offers end June 1, 2014. Shop now. Save $10 Off on Any Tablet Featured in the Home or Home Office Store, when you spend over $199.99 on a tablet with coupon code MX6GSP$CCMGM4B. Limited Quantity. Offer expires June 1, 2014. Shop Now. Save $150 Off on ALL Home and Home Office Laptops and Desktops when you spend over $1699.99 with coupon code QFTHQQN$L4Q01R. Limited Quantity. Offer expires June 1, 2014. Shop Now. Save $100 Off on ALL Home and Home Office Laptops and Desktops when you spend over $1299.99 with coupon code PS9LF$F8QXRWT?. Limited Quantity. Offer expires June 1, 2014. Shop Now. Save $50 Off on ALL Home and Home Office Laptops and Desktops (excluding Alienware) when you spend over $899.99 with coupon code B$ZX?6295Q1Z99. Limited Quantity. Offer expires June 1, 2014. Shop Now. Save 25$ Off on ALL Home and Home Office Laptops and Desktops. Save $25 Off on ALL Home and Home Office Laptops and Desktops (excluding Alienware) when you spend over $599.99 with coupon code B9$836JJJQLF2Q. Limited Quantity. Offer expires June 1, 2014. Shop Now. Save $150 Off on ALL Home and Home Office Laptops and Desktops when you spend over $1699.99 with coupon code 7WF5XDP071HDTJ at checkout – Limited Quantity. Save $100 on ALL Home and Home Office laptops and desktops when you spend over $1299.99 with coupon code L3VKNMX5W109WS at checkout – Limited Quantity. Save $50 on ALL Home and Home Office Laptops and Desktops (excluding Alienware) when you spend over $999.99 with coupon code: 5FSCRTGN7FK6TL at checkout – Limited Quantity. Save $25 Off on ALL Home and Home Office Laptops and Desktops (excluding Alienware) when you spend over $599.99 with coupon code 81DHDCM$FBH8T? at checkout. Limited Quantity. Offer Expires 5/1/14. Save an Additional $10.00 Off on Select Dell UltraSharp Monitors featured in the home or home office store. Use Coupon Code: 9WJ20HXKQVVZ22 at checkout. Limited Quantity. Offer Expires 5/1/14. Save an additional $50 off on any TV priced over $1000 and featured in the home or home office store. Use Coupon Code: BQT1JW057RD33W at checkout. Limited Quantity. Offer Expires 5/1/14. Save an Additional $25 Off on Any Camera Priced Over $300 and featured in the home or home office store. Use Coupon code: NLP3978VRG65TH at checkout. Limited Quantity. Offer Expires 5/1/14. Save an Additional 15$ OFF on Any Camera Over $100!! Save an Additional $15 Off on Any Camera Priced Over $100 and featured in the home or home office store. Use Coupon code: Q1KK1CP0PSNK2B at checkout. Limited Quantity. Offer Expires 5/1/14. Save $25 Off on select Home and Home Office electronics and accessories (excluding customizable electronics) when you bundle products totaling over $300.00. Use Coupon code: 4$$?KQTTB0NNW2. Limited Quantity. Offer Expires 5/1/14. Save $15 Off on select Home and Home Office electronics and accessories (excluding customizable electronics) when you bundle products totaling over $100.00. Enter Coupon Code: 1N?7CQ4QD$8S3J at checkout. Offer Expires 5/1/14. Save $10 OFF on Select Home and Home Office Electronics and Accessories (excluding customizable electronics) when you bundle products totaling over $50.00 - with Limited Quantity coupon. Use Coupon code: 5D3XNJ$S4BXRB1 at checkout. Offer Expires 5/1/14. Exclusive AMD PCs as Low as $499.99!! Get Exclusive AMD PCs as low as $499.99, plus Save $25 on Select Systems with coupon code: 02R$FK4LC6ZW04 at checkout. Drive performance with our new PCs featuring AMD Elite processors. Shop Now. Expires May 2, 2014. Additional 10% OFF Any Dell Monitor!! Take an Additional 10% OFF on Any Dell Monitor. Plus Get Free Shipping! And Enter coupon code: 2LCF8VJTTMD63B at checkout. Offer Expires 3/28/14. Save 150$ Off on ALL Home and Home Office Laptops and Desktops. Save $150 off on ALL Home and Home Office Laptops and Desktops when you spend over $1699.99 with coupon code: 7WF5XDP071HDTJ – Limited Quantity. Save 100$ Off on ALL Home and Home Office Laptops and Desktops. Save $100 Off on ALL Home and Home Office laptops and desktops when you spend over $1299.99 with coupon code: L3VKNMX5W109WS – Limited Quantity. Save 50$ Off on ALL Home and Home Office Laptops and Desktops. Save $50 Off on ALL Home and Home Office Laptops and Desktops (excluding Alienware) when you spend over $999.99. With coupon code 5FSCRTGN7FK6TL – Limited Quantity. Save $25 Off on ALL Home and Home Office Laptops and Desktops (excluding Alienware) when you spend over $599.99. Use coupon code: 81DHDCM$FBH8T? during checkout – Limited Quantity. Save an Additional 10.00$ on Select Dell UltraSharp Monitors!! Save an additional $10.00 on select Dell UltraSharp monitors featured in the home or home office store. Use Coupon Code: 9WJ20HXKQVVZ22 at checkout. Limited Quantity. Expires February 13, 2014. Save an additional $50 off on any TV priced over $1000 and featured in the home or home office store. Use Coupon Code: BQT1JW057RD33W at checkout. Limited Quantity. Save 100$ on Select Dell Canada Desktop and Laptop Systems. Save $100 on Select Dell Canada Desktop and Laptop Systems when you spend over $899 with coupon code: B1Q9?29K6X0M1P at checkout. Offer Expires February 6th. 2014. Save 50$ on Select Dell Canada Desktop and Laptop Systems. Save $50 on Select Dell Canada Desktop and Laptop Systems when you spend under $899 with coupon code: B7CP$QQ3$N$VTG at checkout. Offer Expires February 6th. 2014. Days of Deals for Business. Save Big on PC's and Save up to 50% on Accessories for Your Business. Days of Deals for Business. Save big on PC's and up to 50% on accessories for your business. New offers every day from January 18, 2014 – January 24, 2014. Shop Now! Save $100 on Select Dell Canada Desktop and Laptop Systems when you spend over $899 with coupon code G8BBZZQK2WCKBL Expires December 12th, 2013. Save $50 on Select Dell Canada Desktop and Laptop Systems when you spend under $899 with coupon code: 5JD5M6T$D6X54P Expires December 12th, 2013. Save 362$ Off on Optiplex 3010 MT Desktop For $619. Get Optiplex 3010 MT Desktop For $619 after instant savings of $362 with a 3rd Gen Intel® Core™ i5-3470M processor, 4GB RAM, 500GB Hard Drive, Windows 7 Professional, 3 Year Next Business Day. Get Latitude 3330 laptop For $499 after instant savings of $439 with a 3rd Gen Intel® Core™ i3-3217 processor, 4GB RAM, 320GB Hard Drive, Windows 7 Professional, 1 Year Next Business Day. Save 100$ on Select Dell Desktop and Laptop Systems! Save $100 on select Dell Canada Desktop and Laptop Systems when you spend under $899 with coupon code Q7VFX3Q5C7N7SJ at checkout. Offer Expires November 14th, 2013. Save $50 on Select Dell Canada Desktop and Laptop Systems when you spend under $899 with coupon code 0H20T$LFG3X1F? at checkout. Offer Expires November 14th, 2013. XPS 8700 Desktop For $799! XPS 8700 Desktop. So buy this XPS 8700 Desktop For $799 after instant savings of $50 with a 3rd Gen Intel® Core™ i7 processor, 8GB RAM, 1TB Hard Drive, Windows 7 Professional, 1 Year Next Business Day. Optiplex 3010 MT Desktop For $639!! Optiplex 3010 MT Desktop. So buy this Optiplex 3010 MT Desktop for $639 after instant savings of $347 with a 3rd Gen Intel® Core™ i5-3470M processor, 6GB RAM, 500GB Hard Drive, Windows 7 Professional, 3 Year Next Business Day. Inspiron 660s Desktop For $479!! Inspiron 660s Desktop. So buy this Inspiron 660s Desktop for $479 after instant savings of $20 with a 3rd Gen Intel® Core™ i3 processor, 4GB RAM, 1TB Hard Drive, Windows 7 Professional, 1 Year Next Business Day. XPS 15 Laptop For $1,299! XPS 15 Laptop. Buy this XPS 15 laptop for $1,299 after instant savings of $326 with a 3rd Gen Intel® Core™ i7 processor, 8GB RAM, 750GB Hard Drive, Windows 7 Home Premium, 1 Year Next Business Day. Latitude 3440 Laptop For $499! Latitude 3440 Laptop. So buy this Latitude 3440 laptop For $499 after instant savings of $431 with a 3rd Gen Intel® Core™ i3-4010M processor, 4GB RAM, 500GB Hard Drive, Windows 7 Professional, 1 Year Next Business Day. Save an Additional 50$ OFF Any XPS 8700 Special Edition Desktop. Limited time offer: Save an additional $50 off any XPS 8700 Special Edition Desktop featured in the Home and Office store, with limited quantity coupon code K2LJ$?26T2KGC6 This coupon can be combined with other offers. Offer expires September 8, 2013. 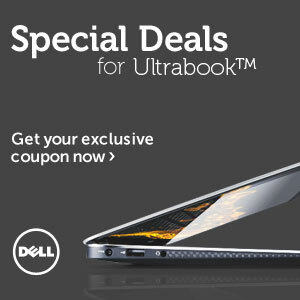 Save an Additional 50$ OFF Any Inspiron 15R & Inspiron 17R Special Edition Laptop. Limited time offer: Save an additional $50 off any Inspiron 15R Special Edition Laptop or Inspiron 17R Special Edition laptop featured in the Home and Office store, with limited quantity coupon code 339F81DQ3S0MV3 This coupon can be combined with other offers. Offer expires September 8, 2013. Save an Additional 100$ OFF Any Alienware Laptop or Alienware Aurora Desktop. Limited time offer: Save an additional $100 off any Alienware Laptop or the Alienware Aurora Desktop featured in the Home and Office store, with limited quantity coupon code: $ZHSF6GNZ?5$MB This coupon can be combined with other offers. Offer expires September 8, 2013.